Welcome to On To You! The most unique shopping experience in Fort Collins! 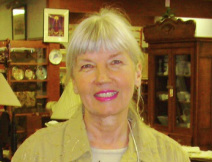 I'm Lenny Olson, proprietor of On To You, a unique consignment, and resale shop which offers a true shopping adventure! Each day, items arrive at the store from consignors far and wide, which means shoppers always find something new and special. On to You is unique; you don't have to pay high prices for quality designer home furnishings, vintage fashion, precious antiques or collectables, and you won't have to sort though acres of poor quality merchandise to find bargains. 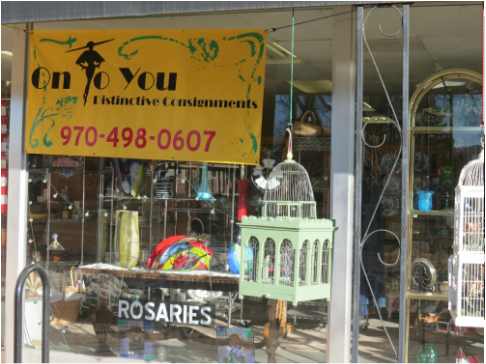 At On To You, consignors determine their own prices, and the merchandise is priced to sell. I hope you'll visit On To You soon, and discover Ft. Collins' most unique shopping experience. You're sure to find the perfect home accessory, special piece of unusual jewelry, treasured antique, or delightful item from the vintage fashion collection. 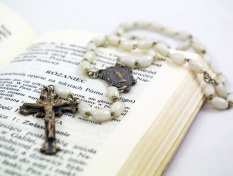 On To You proudly carries hand crafted rosaries made with love by a gifted, local artisan. Repairs and custom orders are welcome! Largest selection in Northern Colorado. Downsizing? Combining households? An Estate Sale might be right for you. I will organize your items and price them according to market value and trends. I'll advertise your sale and promote it to my group of key buyers. On sale days, my team will post signs to the event and provide security, ensuring your sale is well-attended, secure and profitable. If you're thinking an estate sale is right for you, give me a call - we'll come up with a plan to fit your needs. Don't Buy New- Shop On To You ! Our New Storefront! "On To You Consignment Shop!"